What are your intentions with these heels? We hope you're about to give 'em a good home. 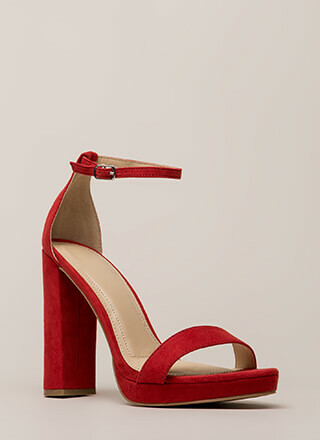 Open-toe vegan suede heels feature an ankle cuff that leads to a lace-up front with punched grommets and cord laces, as well as clear PVC toe and vamp panels for an illusion design. Shoes are finished with a stiletto heel and a ridged sole.